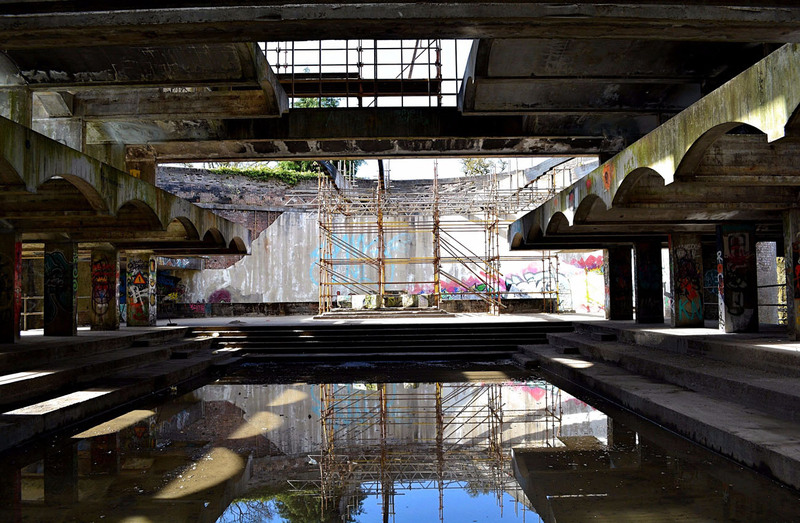 ST PETER'S Seminary at Cardross took part in Doors Open Day 2017, with walking tours of the building on September 23 and 24. All tickets were sold out. An NVA spokesman said: "The idea was that people walk through the abandoned chapel, find a graffiti artists’ paradise, and try to imagine what life might have been like for the young men who lived here during the 1960s. "This was a rare opportunity to visit Scotland's most iconic modernist building in its raw and ruined state." Built as a college to train Catholic priests during the 1960s, the Seminary was only in use for 14 years and has been abandoned for decades. But it is celebrated worldwide as a masterpiece of modernist architecture and its decay has only added to its other-worldly charm. It is about to be reclaimed by NVA as an arts venue and visitor attraction, and this was the last chance to visit St Peter’s before construction begins.